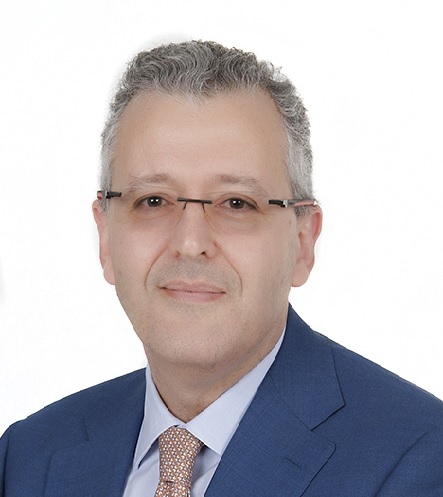 Mr. Sherif Samy currently serves on the board of several companies, including a post as Non-executive Chairman of the National Asset Management & Investment SAE, and on the Investment Board of the State Pension Funds and the Waqf Authority. He is also a member of the International Advisory Board of the UAE Securities & Commodities Authority. 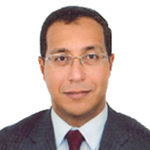 Most recently, he completed a four-year term as head of Egypt’s Financial Regulatory Authority after having spent two consecutive terms on the board of the International Organization of Securities Commissions and serving on the board of the CBE and its Monetary Policy Committee for four years. Prior to that, he was a board member for Banque Du Caire and was appointed for several consecutive terms to the board of Egypt’s GAFI. He has a long track record in investment management and consulting, having spent years working in the fields both in Egypt and other parts of the Arab world. He holds a BA from Alexandria University’s Faculty of Commerce. 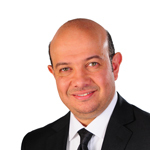 Mr. Abbas El Sayed joined GB Auto in 2014 as Group Vice President Finance. He has 14 years of experience gained from KPMG and Deloitte including 1.5 years in the UK at KPMG UK LLP. Mr. El Sayed has vast experience in corporate finance, restructuring, strategic planning, audit, internal controls, advisory and compliance. He holds a BA in Accounting from Ain Shams University. He is a member of the Association of Chartered Certified Accountants (ACCA) in the UK and is a Certified Management Accountant (CMA). 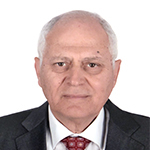 Mr. Mohamed Naguib has served at the boards of various prominent banks and corporations in Egypt and has accumulated nearly 40 years of experience in the fields of Banking, Leasing and Credit. Between 2011 and 2018, Mr. Naguib was Chairman and Managing Director of SAIB Bank and prior to that as Vice-Chairman and Head of the Credit and Investment Committee at Banque Misr. 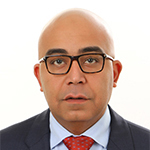 Mr. Naguib had also served at Misr International (MIBank) for over 20 years as General Manager of Credit and Marketing before joining Incolease as Member of the board from 2000 till 2010. Furthermore, Mr. Naguib served as Non-Executive Chairman of Misr Bank-Europe in Germany for two years as well as his membership of the boards of the National Bank of Egypt, the Civil Aviation Finance Holding Company, and the Small and Medium Sized Projects Fund among many others. Mr. Naguib has attended various banking and credit seminars across the United States and the UK in addition to retaining a CPA certification in the state of Colorado for 12 years. 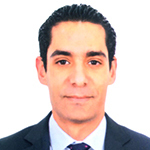 Mr. Naguib holds a bachelor’s in Accounting from Cairo University and an MBA from the American University in Cairo. 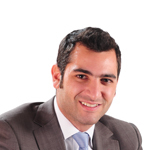 Mr. Nader Ghabbour started his career at GB Auto as a showroom sales representative for the passenger car division. He worked his way up to running the daily sales operations within the show room and later assumed the role of showroom sales supervisor and manager. Mr. Ghabbour’s managerial capabilities were proven when he took on the more strategic role of managing the business-to-business arm of the passenger car segment. He currently serves as the chief operating officer for the passenger car division, managing the passenger car sales and after sales functions, regional operations, and the Motorcycle and Three-Wheeler operations. Mr. Ghabbour graduated with a Bachelor of Arts in Business Administration from Boston University. 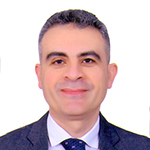 Mr. George Sedky has two decades of experience in personnel management, having held positions in the Human Resources divisions of several major corporations. He has a long track record of success in recruiting and gaining top talent, organizational transformation, and building cultures of engagement. He was successful in re-engineering GB Auto’s Human Resources department goals and practices, aligning them with the Group’s strategic business goals. He is specialized in strategic management and planning; directing all HR functions; introducing new methodologies that maximize performance through training and development; compensation and benefits; and organizational development. He holds a BSc. In Aerospace Engineering from Cairo University and an MBA with an HR Specialization from Arab Academy for Science, Technology and Maritime Transport. 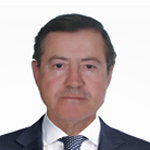 Mr. Wissam Al-Adany joined GB Auto in 2014 and brings with him over 19 years of experience in information technology management, including four years of international experience in Brazil, France and Kazakhstan. Prior to joining GB Auto, Mr. Al-Adany served as Group Chief Information Technology Officer of the Americana Group — whose major shareholder is the multinational Al Kharafi Conglomerate — where he managed the Group’s IT Operations for 15 companies. He started his career with GlaxoSmithKline as a Senior Systems Engineer, and from there moved on to Lafarge as Country IT Director for four years. 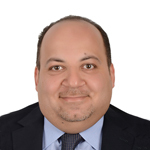 Mr. Al-Adany has deep techno-functional knowledge in all facets of IT and a robust track record in IT infrastructure management, service delivery, ERP implementation and techno-commercial support. He holds a BSc in Communications & Electronics Engineering from Ain Shams University in Cairo, and an MBA from the American University in Cairo. 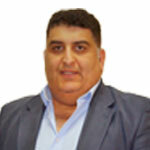 Mr. Ghassan Kabbani brings more than 30 years’ experience to GB Auto. He first worked in the family textile business from 1980 through 1994, when he left to join T.E.S. sheet metal. 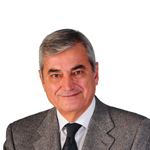 In 1996, together with Dr. Ghabbour and other partners, he established CITI (a 2- and 3-Wheeler company). In 2007 CITI merged with GB Auto, at which time Mr. Kabbani joined the company. 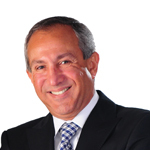 Mr. Kabbani graduated from AUC in 1979 with a BA in Economics and Business Administration. 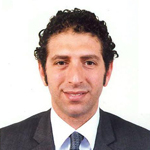 Mr. Ibrahim Naguib has accumulated over 15 years of experience in the automotive industry. Mr. Naguib currently serves as Chief Operating Officer of the Passenger Car Operations where he is responsible for both Sales and After Sales operations. Mr. Naguib first joined GB Auto in 2003 as the Tires Department General Manager where he managed to double the business turnover in a period of three years. In 2007, he took charge of the Commercial Vehicles business where he managed to grow sales volumes and expand market share. In 2009, he assumed the role of Sales and Marketing Director for the Hyundai and Mazda franchises. After briefly relocating abroad, Mr. Naguib returned to GB Auto in 2016 where he was appointed SVP of the Passenger Cars sales operations where under his leadership, market share surged to an unprecedented 36%. Mr. Naguib holds a BA from the American International University in London, UK and an MBA from the Maastricht School of Management, The Netherlands. Mr. Ahmed Ossama bolds the position of GB Capital Head of Finance and Chairman and MD of Haram Tourism. He has under his belt over two decades of experience in accounting and finance across a broad range of industries, including telecoms, petroleum, manufacturing, mining, and financial institutions. He holds a BA in Accounting from Helwan University. 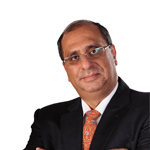 Mr. Sherif Sabry is the Chairman and MD of GB Lease, having held the post since 2008 when he was appointed to manage the restructuring of the company upon GB Auto Group’s acquisition of the firm under its financing arm. He has been a member of the GB Auto family since 1995 in several capacities, including Group Treasury Division Head and Group Treasury Director. 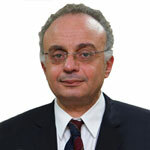 He holds a BA of Commerce from Cairo University and an MBA in Finance and Banking from Maastricht School of Management. He is also a graduate of the Chase Manhattan Bank Credit Program. Mr. Mounir Nakhla is the Co-founder and Managing Director of Tasaheel, leveraging his entrepreneurial drive, calculated management style and hands-on problem-solving to grow the company to the positioning it holds today. 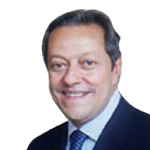 Prior to his establishment of Tasaheel, he founded Mashroey, Egypt’s fastest growing asset-based microfinance company, and assumed the role of Managing Director in 2009. He was part of EQI’s growth story, holding several positions with the company and bookending his career there as Managing Partner in 2008. Mr. Nakhla holds a BSc. in International Business Studies from the European Business School and an MSc in Environment & Development from the London School of Economics.